Jack Everett never wanted to look back. He never wanted to come home. A quick trip to settle things after his father died and he can move on with his life. However, nothing goes as planned and his stay is extended. He must deal with his two brothers and the lives they are leading now. More importantly, Jack must deal with Ava Ellis and the bombshell that is dropped on him. Ava took control of her life ten years ago when she broke up with Jack. But now he is back, and there are things that she is forced to share with him. She suffered heartbreak more than once when it came to Jack, and she is really worried that her heart will break yet again..
Jack has very good reason for never wanting to come home, even if he has loved ones there. After the tragic loss of his mother, his father spiraled out of control, including nearly killing Jack at one time. The memories are just too much to bear. Mostly aware of his painful life, Ava is mostly aware of what Jack went through because when they were eighteen, they were in a relationship. So, she has her reasons for Jack no longer being a part of her life. From the outset, Ava learns that she is pregnant, yet she let Jack go anyway. She has raised their son on her own and has plans on continuing to do so. As mentioned, heartbreak was involved. He went on and became a bigwig lawyer, and she has struggled ever since. There is definitely a chance for Jack and Ava to rekindle their love, but the secrets and the past must be dealt with effectively first. I enjoyed this story by A.J. Pine. Second chance stories allow the romantic in me to wonder what condition a heart is really in when two people come back together for altogether different reasons. In the pages of these stories, it is rather pleasant to see challenges and feelings handled. Kudos to the author for delivering a warm, satisfying tale. I was able to devour this book in one sitting. 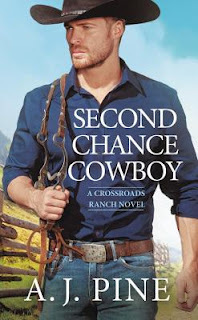 Second Chance Cowboy is part of he Crossroads Ranch series and is followed by Saved by the Cowboy and Tough Luck Cowboy, which were published in 2019. Hard Loving Cowboy will be released in March, 2019. 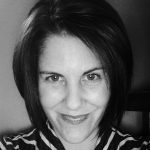 This is a 2-in-1 Special bonus novel in Carolyn Brown's Cowboy Brave, That review is included here on this blog.